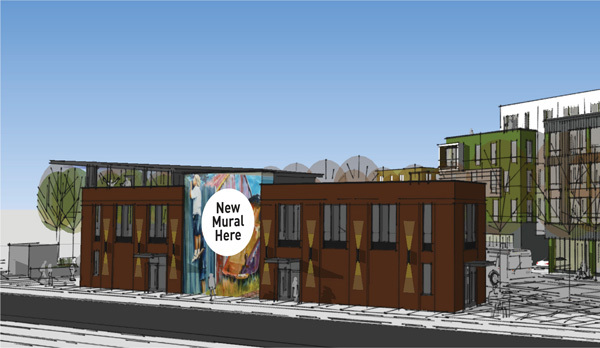 Aiming to help transform the blocks around 38th and Hiawatha into the Twin Cities’ next great neighborhood hub, the developers of 38th Street Station have issued a call to the community. “We know that the new places we love most build on community input, and reflect the context and character of the neighborhood. We hope the local residents will be excited to lend their ideas and their creativity to create a truly great place,” said Michael Lander of Lander Group Urban Placemaking. 3828, the first phase 38th Street Station’s vision, opened February 1st to new residents. It will also host Lander Group’s offices, moving over from 38th and Nicollet, another corner they’ve helped to revitalize. 38th Street Station will energize, activate, and connect people in ways that all great places do – with thoughtful, well-designed spaces to live, work, meet and celebrate, walk beneath trees, sit outside, and easily access the city’s other great places. 38th Street Station is a multi-phase re-development plan executed by Lander Group Urban Placemaking along the 38th Street Corridor in Minneapolis, adjacent to the 38th Street Light Rail Station. Featuring over 200 rental apartments and 25,000 sf of commercial space, alongside a comprehensively-planned and active public realm, new bus station and new city street. Lander Group has been dedicated to making great places for over 35 years. Lander Group plans and builds residential and mixed-use infill projects in traditional neighborhoods – livable, thriving places for people. They do this through integrated implementation that connects community values to development projects, demonstrates good design, and leads by example. Lander Group has a strong local track record and a host of local, regional and national awards recognizing its work. GoodSpace Murals is a Minneapolis-based mural and arts consulting studio run by Greta McLain and Candida Gonzalez. We are an arts team who promote community development through the creation of works of art. We use art to share the unique expression and interests of a community. We reclaim the stories and identity within public spaces by involving the community through socially relevant themes of inclusion, shared interests and engagement in high quality art-making. Most importantly, we use the process of making a mural to teach about the significance of free expression and the power of the visual voice! Hoodstarter is a platform that helps community members share their thoughts, hopes, and vision for the spaces around them that they care about most. Spaces that could be as simple as one vacant storefront or a mall, or more abstract things like neighborhoods or cities. We collect those thoughts on our site, use social media to encourage participation, and help folks like those in the room use that data to find great tenants the community supports and to help move past roadblocks that often come up.